Where does today’s hottest young orchestra come from? If you ask the next five or six music lovers you meet, most of them will probably answer that it must come from south of the border where the weather is hot, hot, hot. But surprising as it is, the hot orchestra I am blogging about today comes from somewhere it is cold, cold, cold – well north of the Arctic Circle. I am writing about the Arctic Philharmonic Orchestra, founded in Norway in 2009 by conductor Christian Lindberg and Artistic Directors Henning Kraggerud and Øyvind Bjorå. The orchestra functions in a unique way. All its players come together as a full orchestra for a regular concert season, but they also head off as smaller ensembles to perform chamber music. The orchestra also programs and performs operas every year. Maybe it’s all because there are not too many different performing organizations way up in northern Norway, and the orchestra has to meet many needs. It works kind of like a Swiss Army Knife, or maybe like a Norwegian Army Knife, if they have them. But when the entire orchestra comes together, exciting performances happen. For today’s blog post, I would like to feature three disks from the Arctic Philharmonic and its charismatic conductor, Christian Lindberg, that you can listen to in their entirety here on Classical Archives. To make your listening easier, I have created a playlist for our members to enjoy with JUST ONE CLICK. As you might expect, this orchestra feels right at home performing music by northern composers. And you would be right, as you will learn in these crystalline performances of Tchaikovsky. You can almost see your breath. 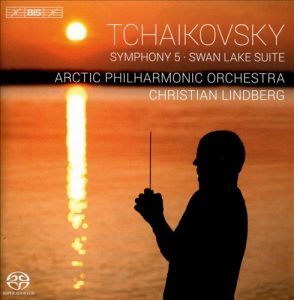 Here is another terrific Tchaikovsky disk from the Arctic Philharmonic. I would suggest paying particular attention to the third movement Scherzo, which offers a real test for the string section of any orchestra. Then hold onto your fur hat for the last movement, a known orchestral showpiece. Christian Lindberg and his band really tear off the doors of the concert hall. 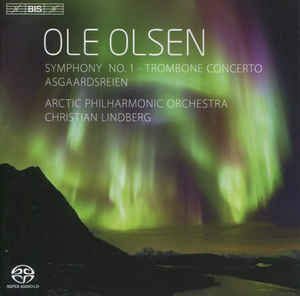 Our listening today concludes with a tone poem composed by Ole Olsen (1850-1927), one of Norway’s most revered composers. Be sure to review all the selections of his music on this disk, including his Symphony No. 5 and Trombone Concerto. Yup, a trombone concerto. Apparently spit valves do not freeze shut north of the Arctic Circle. If you wanted to, you could buy all three of today’s featured CDs from your favorite store for about $20 each. Or you can join Classical Archives for $79.90 a year and listen to them all you want all year long. 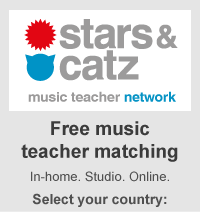 Plus, tens of thousands of other recordings that are part of the Classical Archives online library. I am just making a suggestion. You see, I was a Classical Archives subscriber before I began to write this blog, and I am a big believer. I have not bought a single CD since I joined, and I have never looked back.